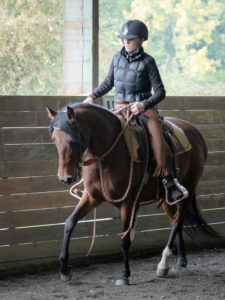 The story of Thoroughbred Anakin, found neglected in Western Washington in December, spread across the country last month, striking a chord with horse lovers who now can take credit for his recovery. 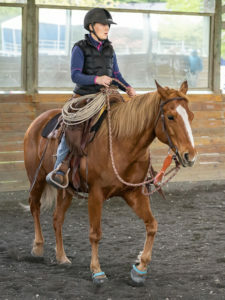 The 20‐year‐old gelding was found several hundred pounds underweight, following a celebrated career in equine research years ago at California State Polytechnic University, Pomona, or Cal Poly Pomona. 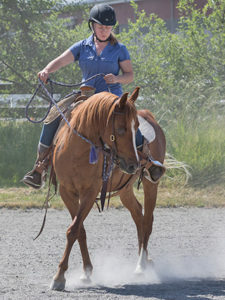 The Woodinville horse‐rescue nonprofit, Save a Forgotten Equine (SAFE), stepped in to care for him, and now caregivers say he’s making significant progress toward health. Since Anakin’s story surfaced, SAFE Executive Director Bonnie Hammond said donors from Florida to the Midwest came forward to help his cause, providing a little more than $11,000 to help cover veterinary expenses. He stayed at Pilchuck Veterinary Hospital in Snohomish County until Jan. 20, when veterinarians deemed him healthy enough to return to SAFE. At the hospital, caregivers focused intensely on getting him to stand on his own, a feat Hammond said he has since conquered. Though Anakin has gained 100 pounds since being found, he still has at least 200 more to go before reaching full weight, Hammond said. Caregivers are giving him food four times a day, medication and walks, expecting him to reach full recovery in about four months, she said. And once he is there, a home seeking a pasture horse, not one for riding or working, will be able to adopt him, Hammond said.